One church, one school, one adult, one child, one hour once a week. That's the heartbeat of Kids Hope USA, a national faith-based mentoring program that equips churches to offer elementary schools their most valuable resources – the time and love of their members. At no cost to the school. KIDS HOPE USA is an expanding national network of public school-church partnerships that provide deserving children with mentors for inspiring, supportive, mentoring relationships. One Child, One Mentor, One Hour, Together. 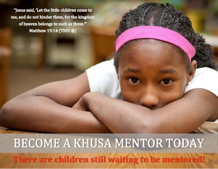 KIDS HOPE USA mentors spend just one hour per week, reading, talking, playing and listening to a child at school. KIDS HOPE USA is a proven, effective program to help children; because when children feel valued and loved, they are better able to concentrate, learn, grow and succeed. Prayer – Because it is the language of hope. East Shore Baptist Church has partnered with Paxtonia Elementary School since 2011, and; the program continues to thrive. To date we have mentored more than 30 students. KIDS HOPE USA is school-located and church-operated; together for children. Mentoring a child is a wonderful way to devote an hour a week to a child who desperately wants your love and guidance. Each mentor is paired with a child at Paxtonia Elementary School (grades K-5) and meets with them on a weekly basis to help with academics, talk, play, listen and have some fun together. Witness a life-change when a student receives hope and love. Share the precious value of a personal friendship. One hour of life together per week is Life at its Best! Faithfully commit to praying for one of our mentor/child pairs, the student’s family, the school administration and staff. Pray for their success and check in with them to hear joys and concerns. Each year we sponsor several events in which extra volunteers are always needed and welcomed. We provide teacher luncheons, student-mentor luncheons, and Church-based picnics and parties for our Kids Hope children and their families. In addition, assist the Director is providing Encouragement Gifts to teachers and KIDS HOPE USA team members throughout the year. Faithfully spend one hour each week building a relationship with, tutoring and mentoring one student at Paxtonia Elementary School.